Life Changing, y’all. You know one of my favorite parts of the instant pot is being able to brown the meat in the instant pot before pressure cooking so it makes so many less dishes as well as saving time! I had the entire pot of queso, including the chopping and browning, and cooking from start to finish, ready in under 20 minutes. 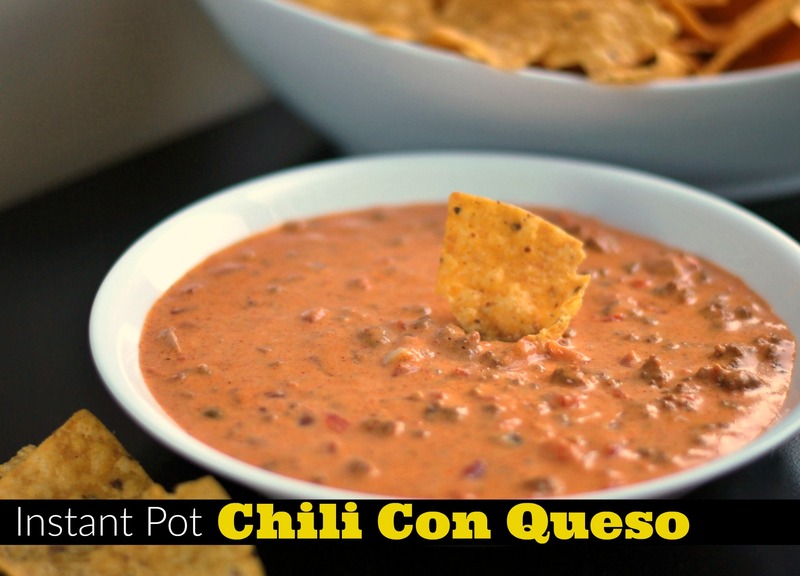 Y’all are going to LOVE making this queso in the instant pot. Turn instant pot to saute on high. Once it is hot, Add ground beef and onions to the pot and brown. Spoon off the excess grease. Add garlic and cook for 1 minute more. Add undrained rotel, undrained tomatoes, taco seasoning, chili powder, velveeta chunks and water. Close instant pot lid and make sure the vent is sealed. Set it on manual for 5 minutes. Let release naturally for 5 minutes then stir to make sure all velveeta is melted and combined. ENJOY! This is one of my FAVORITE recipes of yours!! Now I can be eating it EVEN FASTER! I have one question….and I think it falls into the category of “dumb question”…. Recipe calls for “1 can Rotel”……does this mean Rotel diced tomatoes? Or?????? Thank you for the recipe….I’ve been waiting for this all my life…..